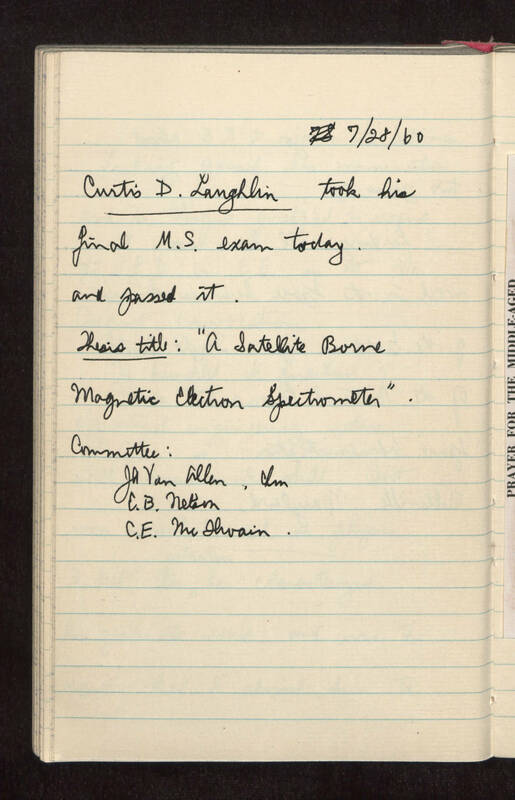 7/29/1960 Curtis D. Laughlin took his final M. S. exam today, and passed it. Thesis title: "A Satellite Borne Magnetic Electron Spectrometer". Committee: J. A. Van Allen, Chairman E. B. Nelson C. E. McIlwain .